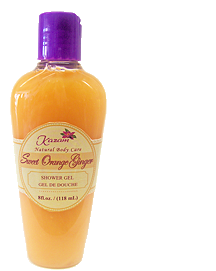 Kazam Natural Body Care started in 2002 by Marjorie Moutari on the philosophy that nature has provided us with an abundance of wonderful therapeutic compounds for health and vitality, perfect for indulging and treating your body and soul. I recently sampled her Sweet Orange Ginger shower gel. If you’re a fan of sweet scents, this one is for you. For the first few seconds I got all the sweetness of the orange, almost candy-like, and then as the gel foamed, the mellow ginger scent came forward. It left a clean sweet scent on my skin. Kazam offers other products for men including a pre shave & body oil, after shave lotion, bar soaps, shampoos and conditioners.